The rapid growth is expected as more countries around the globe began switching their public transport system’s manual fare collection to automated systems, with the smart card segment being the major revenue contributor at 41%. Since its 1997 debut in Hong Kong, the automated transit fare collection has evolved dramatically—from the first-ever, non-contact, smart card in train and subway stations to fare boxes, which are commonly used in public buses. 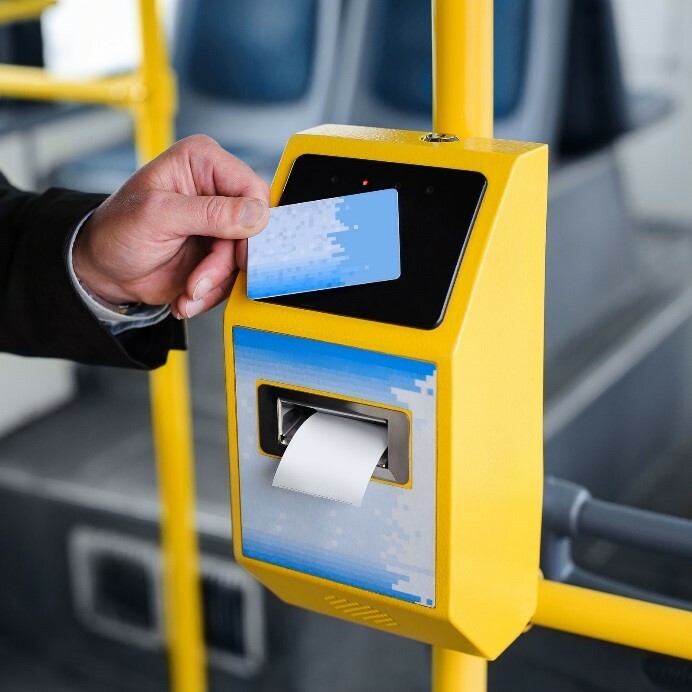 Nowadays, automated fare collection is also used in major types of local public transport, such as railways, taxi services, buses, rental cars, and even in airports. Singapore, the country with the broadest array of transportation modes that use automated fare collection, has taken such a notch higher by introducing a non-contact. smart-card system that can be used for travel across its entire public transit network. Just recently, it further developed its system to include payment for private transport services, such as road pricing and parking. Aside from being more efficient, automated fare collection has greatly reduced operational costs and added extra security for both commuters and operators. North America is currently listed as the top revenue maker among continents using the system, accounting for more than 33% of the market share, followed closely by Europe and Asia-Pacific. The numbers cited above suggest that this year is ripe for wholly integrating your transportation company’s system software and hardware, if you haven’t done so already. With governments across the world, as well as the general public, accepting the major role transportation plays on a country’s economy, implementation of technologically-advanced developments such as this are bound to gain full support. With the implementation of automated fare collection, commuters can expect reduced travel time and fewer delays with transfers, boarding, and departing. As a result, the general public will be more interested in using public transit to arrive to their destinations, rather than driving their own cars. In the U.S., key cities such as Los Angeles, New York, and Chicago employ an automated fare collection system to help commuters travel daily. Around the world, India and China are seen as the biggest potential revenue generators as these richly populated countries are slowly improving their national transport infrastructures and security systems to meet the growing transport demands of their citizenries. As previously stated, the smart-card technology segment is the largest revenue generator, though recent developments have seen the sudden rise of the Near Field Communication (NFC) technology. Future forecast for the NFC technology is highly favorable as the application reduces the necessity of handling cash and acts as an e-wallet or purse. The expected growth of NFC can be largely credited to the ever-growing popularity of mobile devices with data connectivity, which are then used as payment terminals by some famous retailers like Target and Macy’s, and are now being continuously developed for transport services as a means of lowering cost ownership and accommodating the consumer’s demands for convenience. Both NFC tags and readers are expected to gain prominence in the transport industry for the next decade with the recent penetration of the U.S., UK, and Canada markets.